If you want to be among the first to get a new Samsung Galaxy S5, the time to act is now. AT&T announced that pre-orders for the flagship Android smartphone will begin in-store and online starting Friday, March 21. Unveiled just last month, the new 5.1” Galaxy S5 boasts 2560 x 1440 resolution, a fingerprint scanner, IP67 water resistance, a black-and-white ultralow power saving mode and improved camera features. The smartphone is available in four colors: white, black, blue and gold. 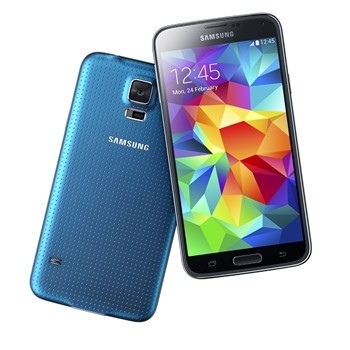 Like the competing Apple iPhone 5S, the Samsung Galaxy S5 will retail for $200 on-contract; full retail is $649.99. AT&T Next customers can get the device for $25 per month for 18 months, or for $32.50 per month for 12 months. AT&T is offering a bonus $50 discount if you buy a new Galaxy Gear 2 ($299) or Gear 2 Neo ($199) smartwatch at the same time you pick up a Galaxy 5. That said, I’m far more excited about Android Wear, Google’s new Android-based smartwatch operating system, and the coming Moto 360 smartwatch that runs it. A release date for the Samsung Galaxy S5 has yet to be announced, though AT&T says the phone will begin shipping in “early April.” Both Verizon, and Sprint will carry the phone as well, but have not announced pre-orders.